Have you ever had you heart to the point that you thought it was going to jump out of your chest? Can you imagine having that feeling for more than and hour while you witness one of Mother Nature’s most spectacular events unfold before your very eyes. 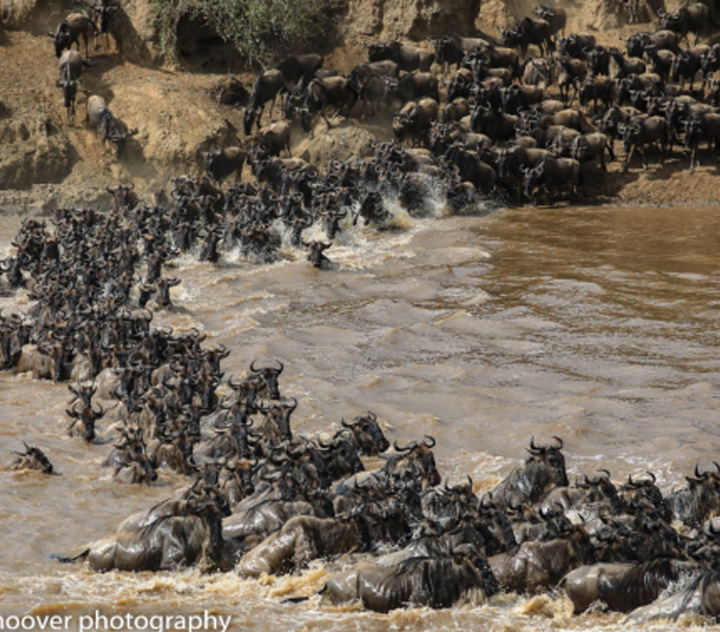 Such is the feeling you get while watching the Great Migration and the crossing at the Mara River in Tanzania. Since the beginning of time, hundreds of thousands of wildebeests and zebras follow the rains in pursuit of fresh grass on which to graze. This leads them on an annual circular migration pattern from the southern Serengeti up north and through Kenya and back south throughout the year. To see this struggle for survival up close and personal is something that will change your life forever. Sensing the presence of lethal predators such as lions and the terrifying monster crocodiles that lay in wait for their next meal, one can sense the fear in each animal as they swim for their lives. For those few that become the victims of a savage attack, the desperate sounds of their futile struggle will leave you breathless. This is, without a doubt, one of the most spine-tingling experiences you can witness on this planet. 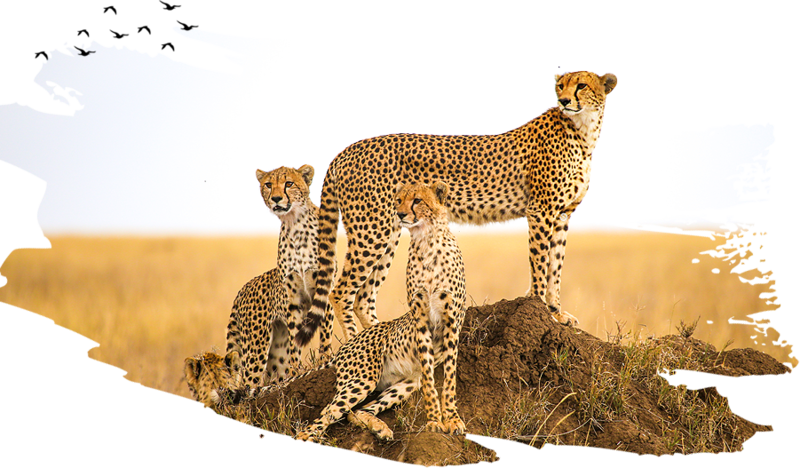 Whether you are an avid wildlife photographer, an amateur with a cell phone, of one who has always wanted to see Africa and all her wonders, this safari is for you. Now is the time, life-changing excitement awaits!